Sierra Castle lived through every transgender woman’s worst nightmare. When Castle went to a local police station to report a minor traffic accident, police in Cobb County, Georgia took the report but then noticed she had an outstanding $15 seat belt citation fine. They arrested Castle and hauled her to jail. According to a lawsuit Castle has filed against the county sheriff, command staff and deputies at the jail, she was subjected to 18 hours of sexual harassment and disparagement from inmates and jail staff. “I was afraid. I was embarrassed. I was humiliated,” Castle told The Atlanta Journal-Constitution. She says that after she told the arresting officer that she is transgender, things went from bad to worse. While the officer was “professional and polite,” jail staff were not. While Castle has had all of her official documents changed to female, legally changed her name, and has had gender reassignment surgery, staff refused to place her with other female inmates. They also wouldn’t allow her access to medication, changed her identification wristband to read “male,” and forced her to undergo a pat down by a male guard. After hours of torture by the staff, she says she’d finally hit her limit and knew she should fight back the only way she could – through the legal system. Castle’s attorney, Ken Barton, told the paper that other transgender women who allege similar treatment at the hands of jail staff. 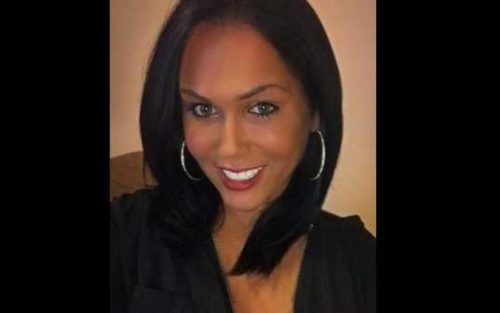 While the county has policies and procedures for handling transgender inmates with respect, they were not followed in Castle’s case, he said. Barton says he hopes that Castle’s case will prevent future assaults on the human dignity of transgender people.